John Frederick Potteron was born in Burton, near Lincoln in 1895. He as the oldest son of John Henry (1872-1966) and Mary Ellen (nee Vickers) (1873-1955). In 1901 the family were in Broom Hills, Skellingthorpe and about a year later they moved to Brant Broughton. By 1911 (aged 15) John was working in Brant Broughton as a farm labourer (as was his father). The family then moved to Knapthorne Cottage, Caunton (Notts). After the war John Henry and Mary Ellen moved to Claypole. They were still in Claypole (Mill Farm Cottages) in 1939. John volunteered for the Lincolnshire Regiment in November 1914 and joined 1/4th Battalion, which landed in France in Mar 1915. He was reported missing on 13 Oct 1915 during the attack at the Hohenzollern Redoubt and was later confirmed as killed. 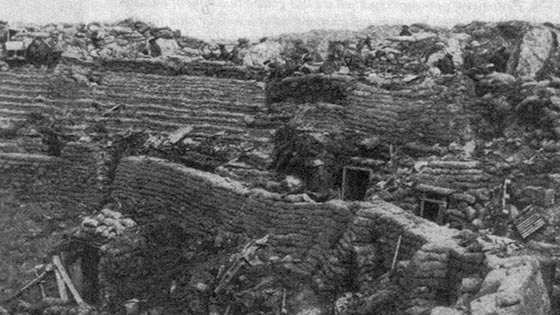 This action took place during the final stage of the Battle of Loos. The casualty rate amongst units of the 46th (North Midland) Division was worse than that of the ‘Pals’ Battalions on the first day of the Battle of the Somme in 1916. The Division consisted entirely of Territorial Army units and this was their first major action. The 1/4th and 1/5th Lincolnshires were wiped out in less than half an hour. Of those killed 90% of the 1/4th Lincolns have no known graves; however John Potterton was buried at Canadian Cemetery No2, Neuville St. Vaast. He is listed on the Brant Broughton, Marston and Caunton war memorials. It’s not clear what the Marston connection is. 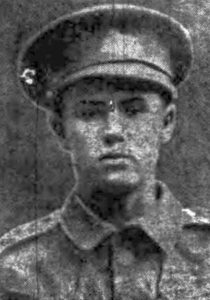 John Frederick joined up at Grantham on 30th Nov 1914 and the next day the Grantham Journal reported that the only local man to enlist that week was F.W. Potterton of Marston, who’d joined 1/4th Lincolnshires Regt. There is no related record of an FW Potterton, but the other details match John Frederick; so it seems likely that he was living and working in Marston in 1914.